Plenty of politicians have strong opinions on whether the United States should raise its minimum wage, but Massachusetts Sen. Elizabeth Warren has a more personal reasoning behind her convictions. In an appearance on The Late Show With David Letterman last September, Warren revealed that a traumatic family event that occurred when she was just 12 years old, drastically affecting the family's financial situation. Warren's father suffered a heart attack, and her mother, who had been a stay-at-home mom, took a minimum-wage job at a local Sears department store to manage the family's expenses. Before her father's heart attack, Warren explained, her father was a carpet salesman. Warren, who supports raising the minimum wage to $22 an hour, said that when she was growing up, "a person could work a minimum-wage job and it would support a family of three." She used the example of her family's experience to explain her enthusiasm for raising the minimum wage. "Today, a person can work full time at a minimum-wage job and still live in poverty, and I think that's just fundamentally wrong," Warren told Letterman. "The bottom just fell out for us. ... 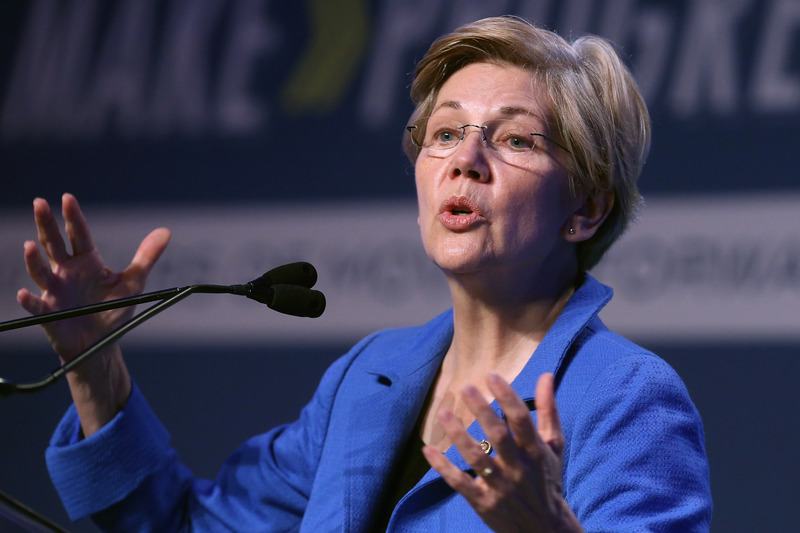 The bills piled up," Warren told Letterman of her family's dire financial situation. The Massachusetts senator added that her mother's minimum wage job "saved" her family from losing their house, after the family had already lost their station wagon. During a Senate hearing in 2013, Warren argued that if the minimum wage had risen consistently with the U.S. increase in productivity rates, it would be $22 an hour. "If we started in 1960 and we said that as productivity goes up, that is as workers are producing more, then the minimum wage is going to go up the same," Warren said. "And if that were the case, then the minimum wage today would be about $22 an hour." Warren has since shared the story of her mother's Sears job while speaking at other events, stating that "that is the America I am going to fight for" — i.e., a country where working a minimum wage position doesn't have to mean living in poverty. Warren may not have any plans to run for U.S. president in the 2016 election, but she's still a powerful political figure who makes great arguments, especially when she speaks out about the federal minimum wage. When Warren appears on The Late Show With Stephen Colbert Wednesday, just over a year since the Letterman interview, we hope the senator is just as candid and honest about her experiences and her opinions as she was during this interview with Letterman.